Yoga imparts flexibility, balance, and whole-body strength, creating improvements in an athlete's form, efficiency, and power. This text explains the benefits that yoga can bring to every training programme. 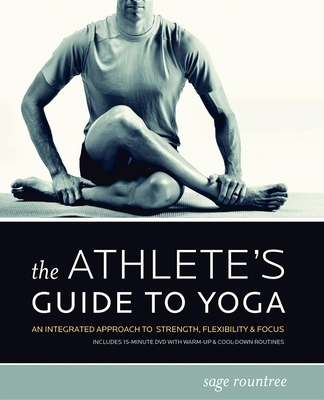 Sage Rountree is an internationally recognized authority on yoga for athletes and an expert endurance sports coach. She is a certified coach with USA Triathlon, USA Cycling, and the Road Runners Club of America as well as an Experienced Registered Yoga Teacher with the Yoga Alliance. A successful competitor in running and triathlon, she has raced distances ranging from the 400m to the 50K, super sprint triathlon to Ironman. Sage is a frequent contributor to "Runner's World, Triathlete, and Yoga Journal" magazines and has contributed to "USA Triathlon Life, VeloNews, Running Times, Inside Triathlon," and "Endurance "magazines as well as several websites. She is a featured instructor at Kripalu and offers yoga workshops for athletes and coaches around the country. Sage is the author of "The Athlete's Guide to Recovery," "The Athlete's Guide to Yoga," and "The Athlete's Pocket Guide to Yoga."